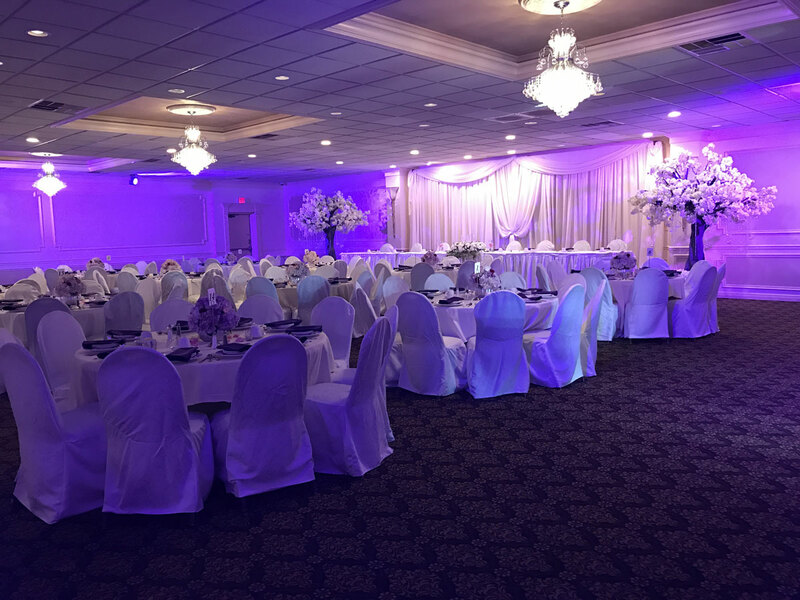 Catering in Saint Clair Shores MI by Lakeland Manor Banquet and Catering on Harper Avenue in Saint Clair Shores Michigan. It was a busy weekend for us. It culminated on Sunday with a double-header. Two showers, one for a new bride-to-be and the other for a first time mother, went off without a hitch. Lakeland Manor’s skilled staff maintained a friendly environment for every guest who walked in the door. Since Lakeland Manor is a one room facility, the entire focus of Lakeland’s staff was on the shower. The first shower was for the newly wed couple. They brought in a vast array of center pieces and table runners. We allow our hall to be customized to a great degree. Just stop on in to visit with Nikki or Brycen to discuss possible decoration ideas, menus, and arranging a date. The second shower, for the mother-to-be, brought in a vast array of decorations. They made towers of balloons that matched the event’s colors, brought in select candies that also matched the colors, and made large custom numbers so that the guests could easily find their seats. The soon-to-be-mother along with her friends planned it all out two weeks in advance with Nikki. 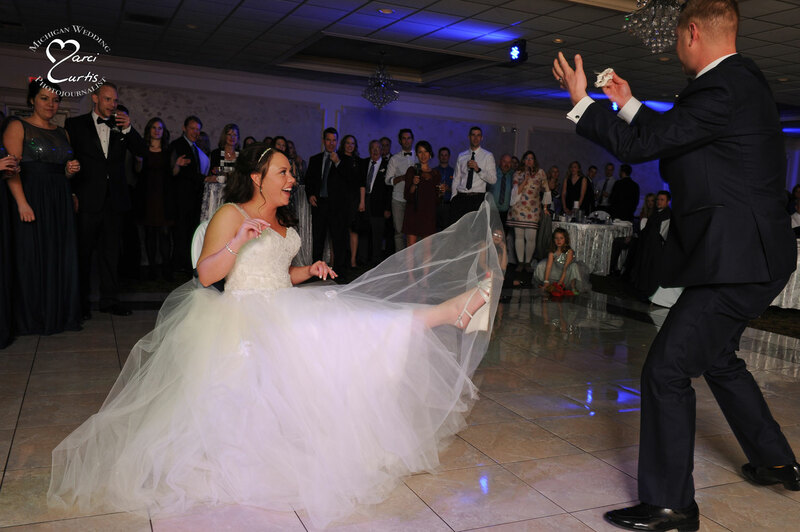 When it was all put together, the guests entered with smiles and awe on their faces. We at Lakeland Manor were proud to be part of such a special moment for the family. Lakeland Manor already has gracious wedding specials for the coming New Year. We are pleased to announce that we are also offering Shower Specials: that includes both Baby or Bridal. 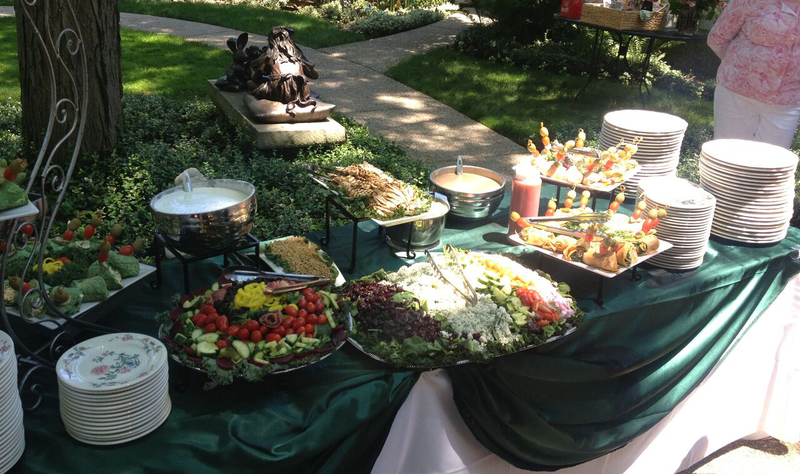 The special we are offering has the deluxe dessert table and Mimosa & Bloody Mary bar. 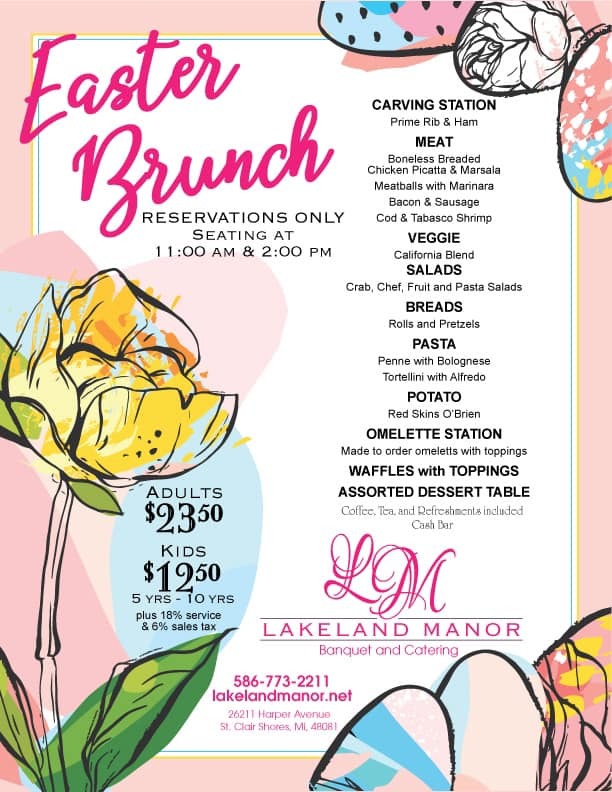 For your shower, you can order the standard two meat buffet… or you can order the fabulous Lakeland Manor Brunch. This offers both the buffet line and the breakfast station. The chefs prepare your omelettes to your exact specifications while you grab your bacon, sausage, and Belgian waffles.